jd, 28 Sep 2014I faced some other issues today. feeling bad. Can't move dead trigger to device memory from sd... moreDo you have sufficient space in internal drive? Else uninstall, change install location to internal memory and download again. 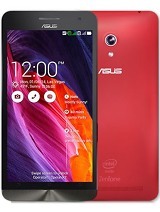 AnonD-313216, 28 Sep 2014am looking for asus zenfone 501cg may i know there is an option of video calling in this phone... moreNo, there isn't. 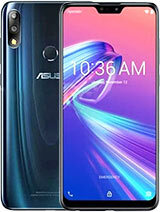 am looking for asus zenfone 501cg may i know there is an option of video calling in this phone or not. I was listening to songs n in the middle of a song the earphones started sounding like the incompatible earphones (like the jellybean customised earphones sound in a gingerbread device). They only work when i pull them a lil out of the jack. Then i have to press power or volume buttons multiple times to make them work. Where to find various sound or ring profiles? 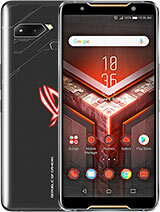 Where to find various ring profiles in this phone?? I am using it but can't able to find out. How to increase or decrease the vibration sensitivity on this?? AnonD-313007, 27 Sep 2014Is anybody problems with camera flash ?? If i click pictures with Flash On The pictures l... moreI just tested on mine, and have no such issues, although I can say that some photos are far noisier than I would have liked. Seems it spiced ISO up for some reason. Is it possible that you have fingerprints or other smudges on the lens? Generally such an error would be wrong light metering (over exposed), or processing fault (contrast error), or reflection (dirty lens). The 2 501CG and 1 500KL that I have here do not have this issue, so it could be your particular phone, although it is still possible that the error comes from the software. AnonD-313003, 28 Sep 2014Mee to getting the burning smell.when the phone was heating like a hot pan the display also ge... moreWell one way would be to underclock the CPU, but that would require rooting. It is possible that the power management failed and is cooking CPU. Most of the time this can be resolved by a factory reset, where firmware gets reloaded from the recovery partition. May I ask if your phone is being in any kind of case, and if so, whether the case is silicon or polymer? 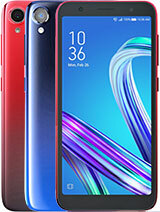 The reason I ask is because I've had 2 other phones, when recording in 4k video resolution cook the CPU when in silicon case, but had no issue in plastic case with the same phones. Yes, Atom does run hotter than ARM processor, but it should not cause any smell, under any circumstances, as the power management system should throttle the CPU down when it starts reaching the maximum temperature. Obviously there's no fan to cool the CPU inside, so lowering the clock is all it can do. As mentioned earlier, in JellyBean, power management cannot turn parts of the CPU off, hence 800 MHz is as low as it can go, with both cores and all sub-cores running. 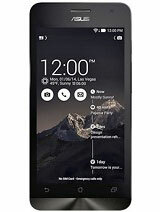 AnonD-312628, 27 Sep 2014Before two day I got my phone but I m facing some problems like battery backup, no SIM video ... moreThe SIM video calls are not possible on this phone, apologies. As for hanging - have you updated the system firmware? 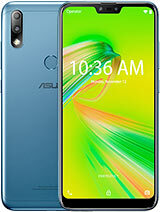 I would recommend you to load the full 1.18.40 from Asus website if you have not. Many of the complaints/bugs are getting fixed when reported, but obviously that's in the new firmwares. I'd try that first, if you still have issues, then maybe write more details on what games hang, maybe some other gamer in here can help. AnonD-311879, 28 Sep 2014Are you feel threaten...so you stalking me??....hahaa.... :D Nah, I just went to google your excellent reviews and that's the first thing that popped up. AnonD-311879, 28 Sep 2014Whaaat??! !.....a toy??! !......i guess i know this is going to....or maybe next time youll say.... moreAll phones are toys. Well, OK, some are being used for business tools, but other than that, they are toys for big kids. Small kids play with Barbies and model cars, well, big kids play with smartphones. I could call myself a toy collector. For anything running on batteries (ok, some female khm…. accessories… excluded). I just went to google your excellent reviews of other phones, and the first thing that came up on Google was your Facebook account. That immediately built my respect for you as someone who spent time to google up his own reviews, praise them for excellency, and used them as basis to decide that this phone is crap. Not many people are so full of themselves. Respect, kid. 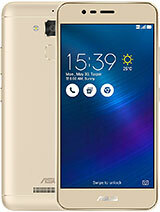 I am surprised to hear about problems in asus zenfone 5.Mine is working very nice since i bought i.e.July 29.It never lags,plenty internal memory space.Nice touch and very nice camera.Never heats on internet use and guys i have used sony & samsung in past @3 inch phone and upon continous use of 3G there battery also go down. I think lots of people complaining here havent used smartphone before or dont know how to use it.Hats off Tomazz for such a nice and detailed explanation of mobile. 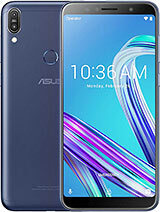 One thing is a big surprise for me,in my asus zenfone 5 whatsapp has moved to sd card and it is working fine.How come possible as my phone is not rooted. AnonD-279813, 27 Sep 2014I'm glad you are enjoying your Xiaomi phone. 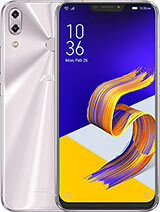 A friend of mine, Hugo from Xiaomi, once said ... moreI do have zenfone (5 & 6), redmi 1s, redmi note, iphone5, s4, note 3, huawei honor 3C, xperia z, nokia xl, and more...are ya want me to list all my phone that i have..